In years past, my family made nearly every ornament hung on our Christmas Tree. We created decorations from felt, plastic, wood, styrofoam, beads and anything else that would add a bit of charm to the lighted tree. We laughed whilst gluing and stringing material to various shapes and passed the time singing favorite Christmas carols. Oh how we treasure those moments! We still have a few adornments stored away for safekeeping; however, the homemade edible trinkets we crafted were by far the best. Whether it is was dad, mom, or child, one could not resist nibbling on popcorn or stealing a sugar cookie off the tree once in awhile. 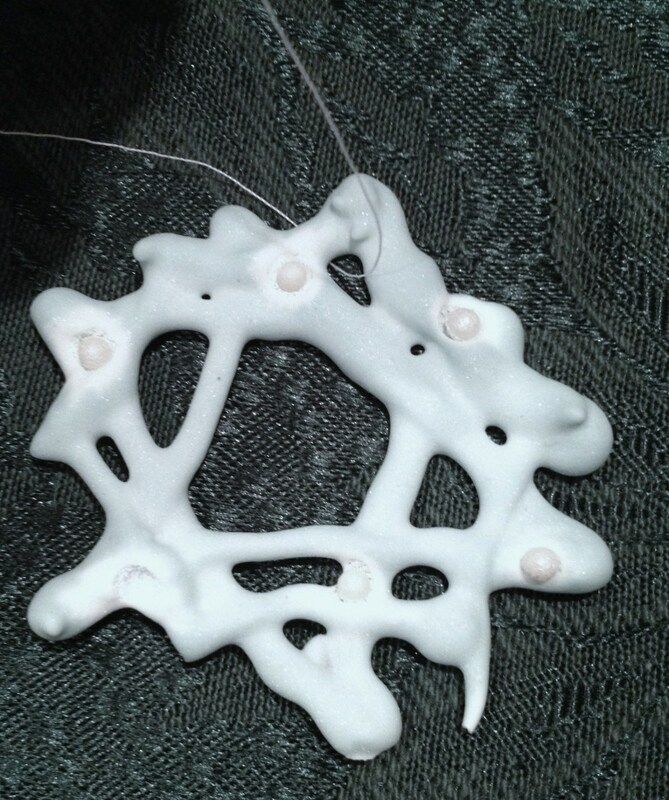 One year, my sister made some lovely edible snowflake ornaments from simple food ingredients. My son, who was ten at the time, marveled at their beauty as they gently twirled on the tree. And not only did they look good, they tasted even better! At his request, my sister copied the recipe for him and the following year we covered our entire tree with sugary pastel blue snowflakes. We delighted in eating them throughout the holiday season while sipping cups of hot cocoa. By the time Christmas day arrived, we may have had a couple left hanging on the tree. This recipe produces a delicate lacy trinket that will shimmer as it adorns your Christmas tree. If you allow children to enjoy them as a treat, I would suggest you do it as a type of advent: one per day since they are purely sugar. Feel free to be creative and design other shapes for your tree; just make sure the frosting is thick enough (about the diameter of a pencil) to support your pattern. Have you ever used any of these to decorate your Christmas Tree? We are mesmerized by Christmas trees with their elaborate decorations and lights. Many cities have tree lighting events and festivals to officially kick off the holiday season. You can hear the ripple of admiration as the tree is lit and everyone claps with excitement at the magical sight. Stores display a plethora of tree ornaments that dazzle the eyes and warm the heart with their beauty. Specialty trinkets range anywhere from five dollars upward and special edition collections may equal the cost of a dinner out for most families. Still, it is one's choice to display a tree that brings joy to their celebration, no matter the cost. Prior to 1605, decorated Christmas trees were mainly found outside the home in their natural setting. People used popcorn, fruit and nuts as accessories. The first known area to bring a tree indoors was Strasborg, France where homes used paper roses, candles, wafers, nuts and sweets to adorn the tree. As time passed, other items exhibited were eggshells, shiny metal foil and candy. The first glass ornaments were made in Germany in the 1880's. In the US, F.W. Woolsworth latched on to this new concept and imported them by the millions. Reportedly, he made 25 million in sales by 1890. Later, the Japanese market manufactured decorations to become the highest importer with over 250 million ornaments sold in the states. Today, it is popular to create a theme such as angels, snowmen, birds, or whatever hobby or collection a person enjoys. 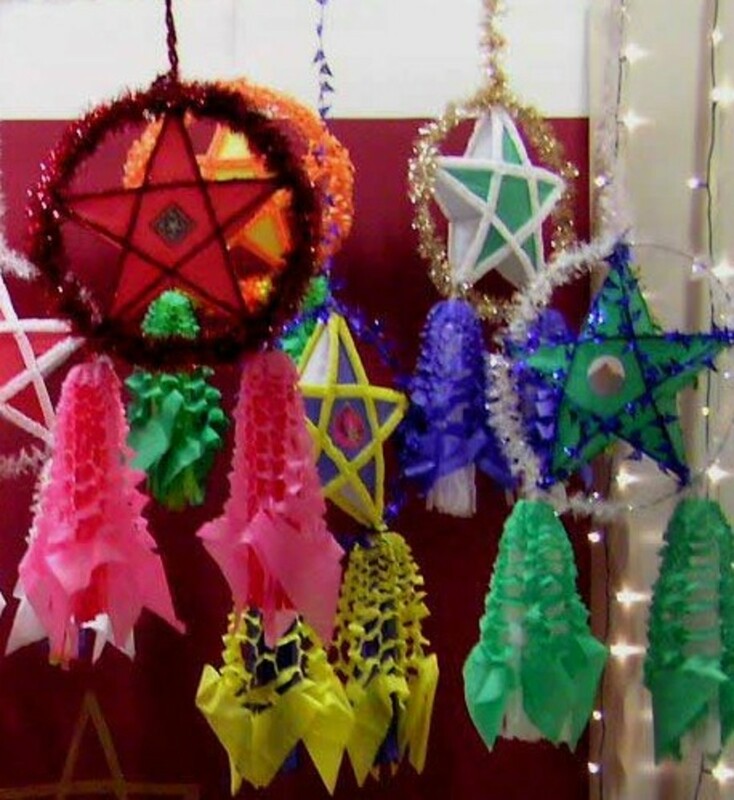 Ornaments are much more intricate and can make sounds, light-up, and move to music. No matter what type of ornament you choose to decorate your tree, homemade or store bought, the purpose it to savor your time adorning the tree with valuable memories and add beauty to your home. 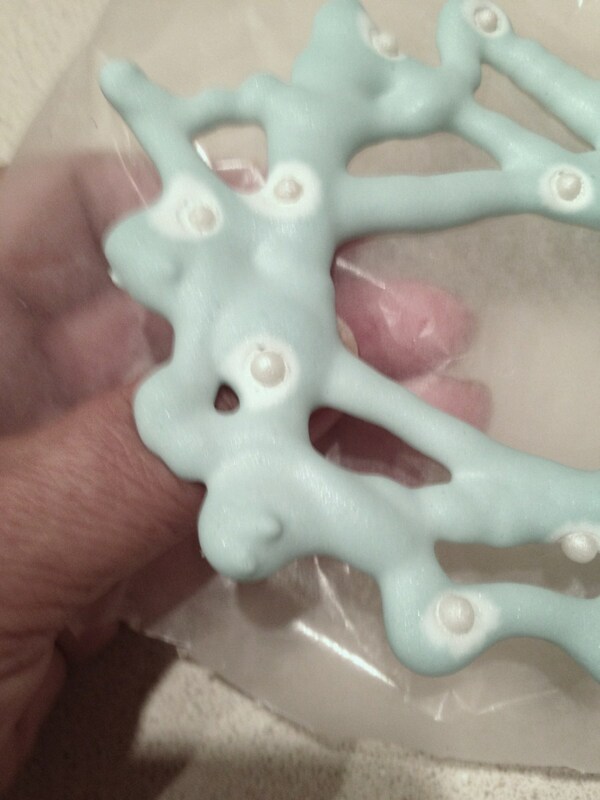 Use small baggies to squeeze frosting on to your design. 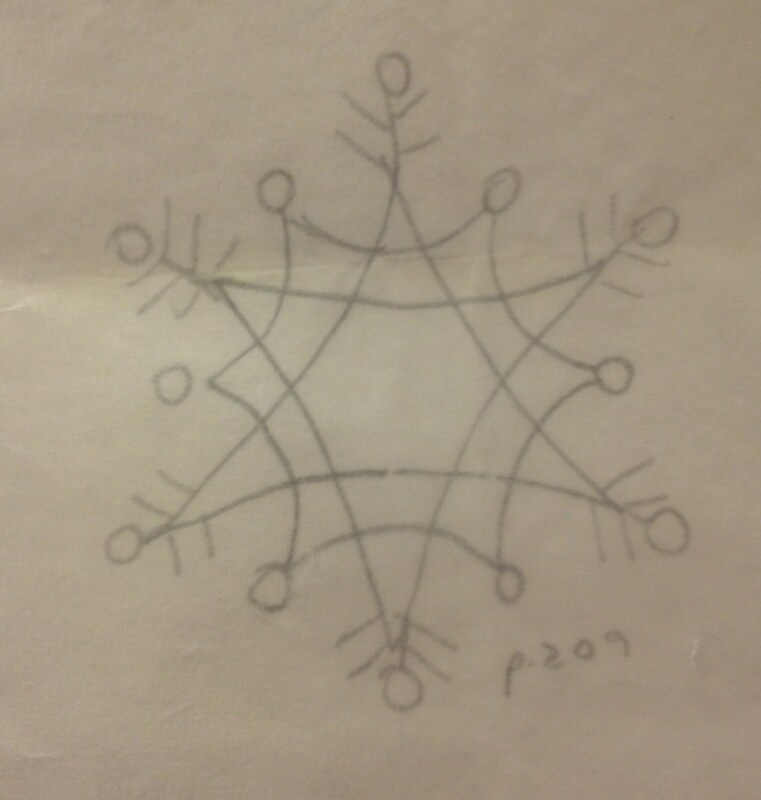 Our original shapes were based upon my sister's delicate design. 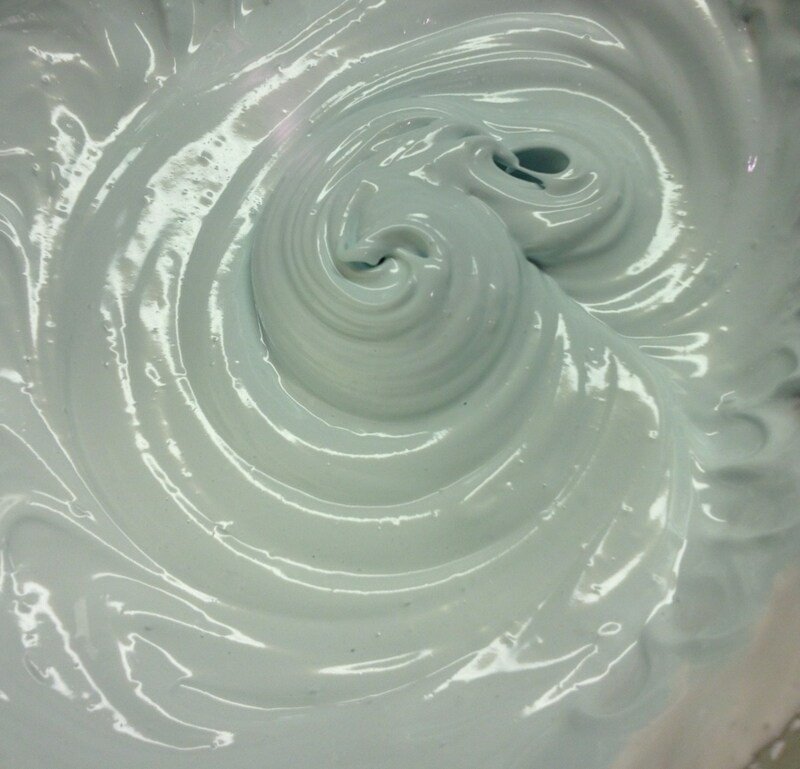 Start out with thick, smooth lines as the base of your snowflake. 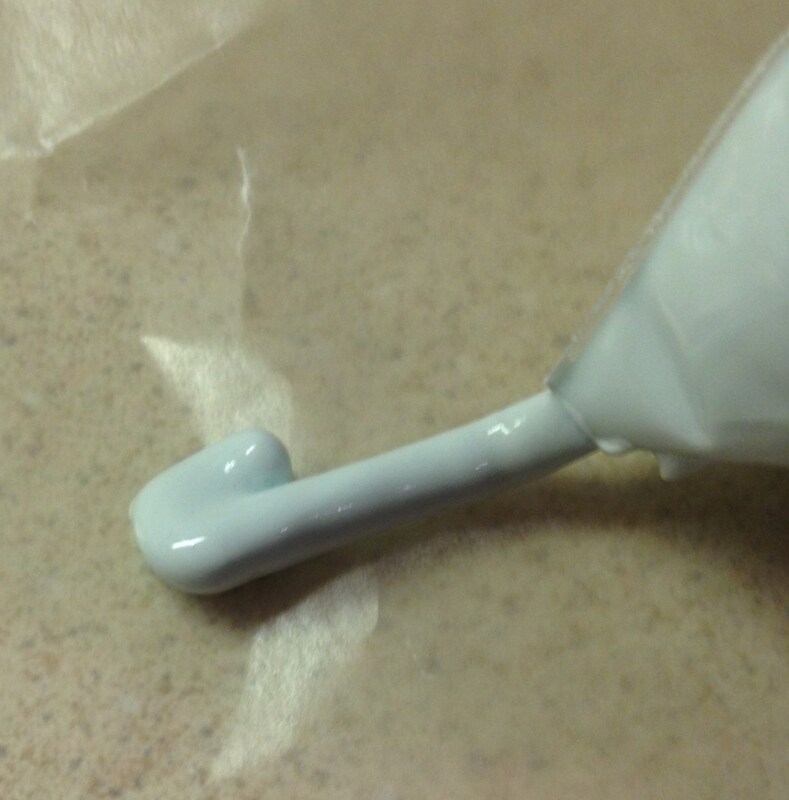 Make sure your lines connect to minimize breakage when dry. After completing your shape, decorate with sugar beads or sugar crystals. 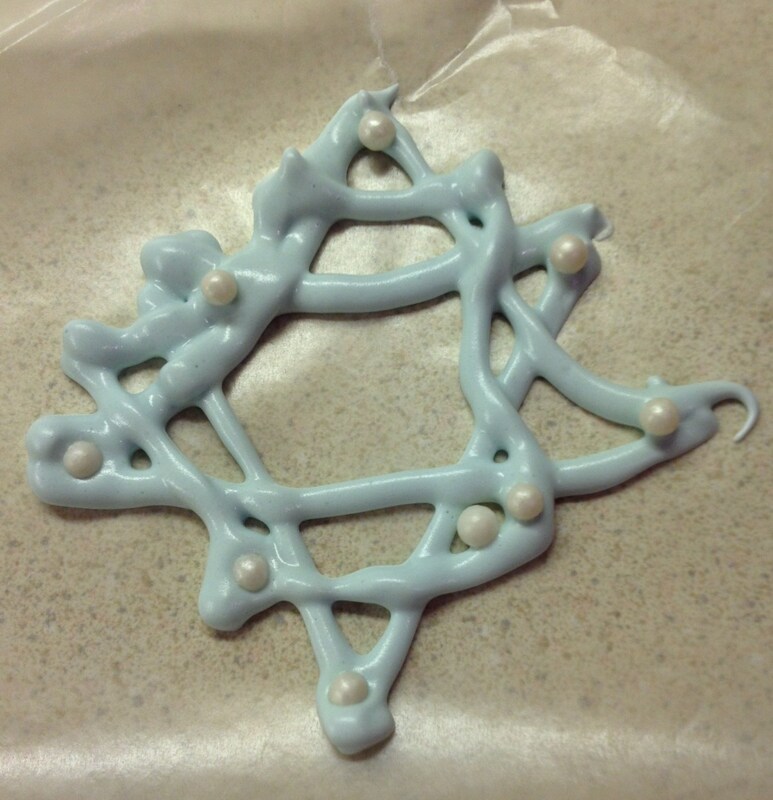 When your snowflake is hardened, slowly and gently pull the wax paper from the back of the ornament. String the trinket with white or silver thread to hang on the tree. 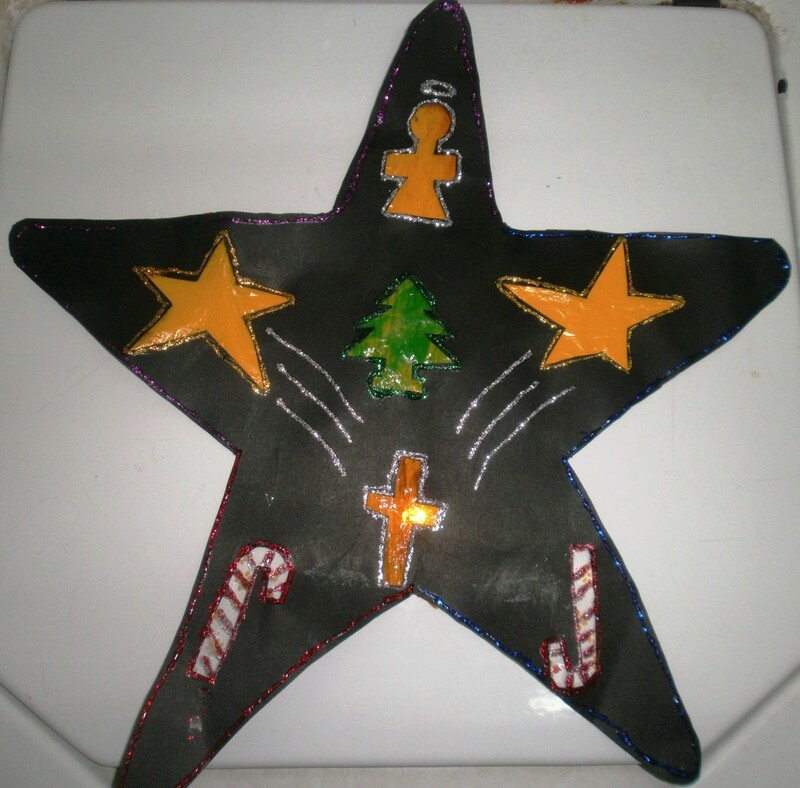 Use your creativity to design other shapes to adorn your Christmas tree. Enlarging the design will make it easier to trace. 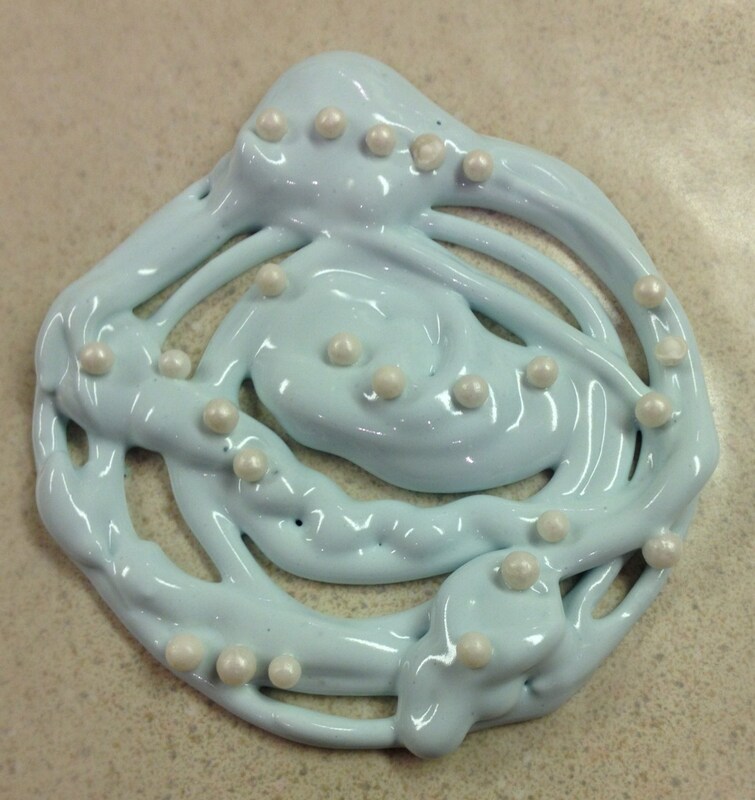 What Christmas ornament shape would you make with this frosting? 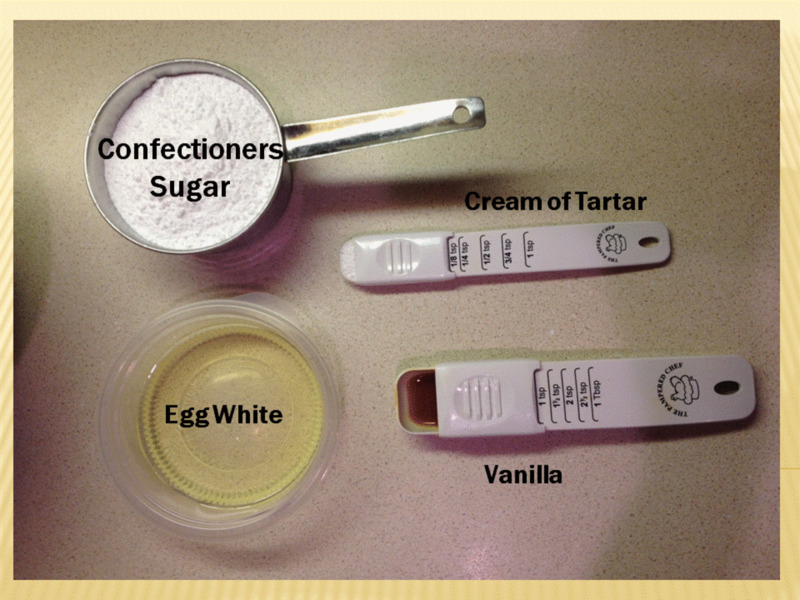 In a small bowl, beat the first four ingredients until the mixture is very thick. For white snowflakes, spoon one-third of the frosting into a plastic bag. For pastel snowflakes, add a few drops of food color to the frosting. 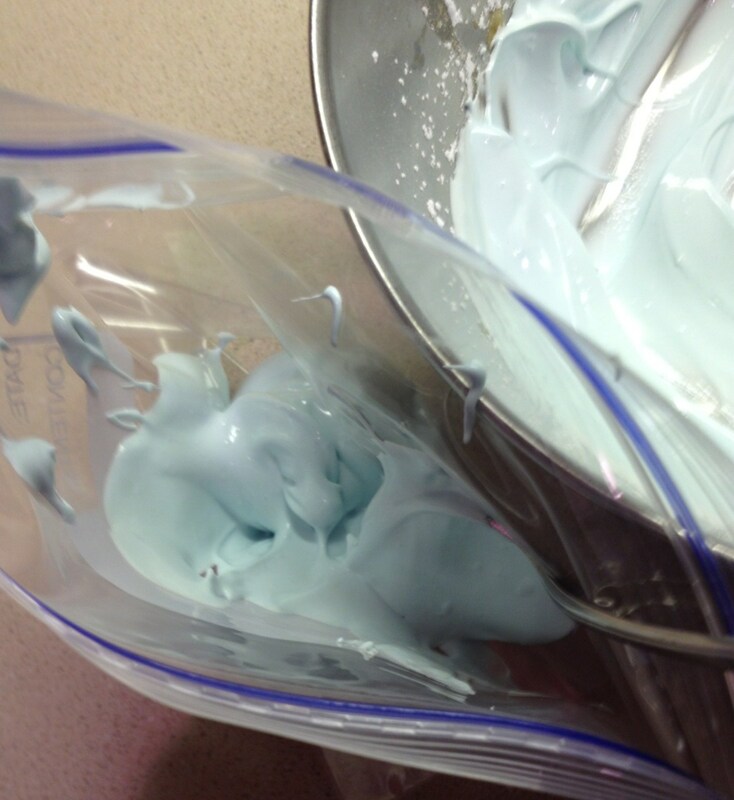 Squeeze the frosting into one corner of the bag. Snip a tiny hole in one corner. The size of the hole in the bag will determine the thickness of the design. 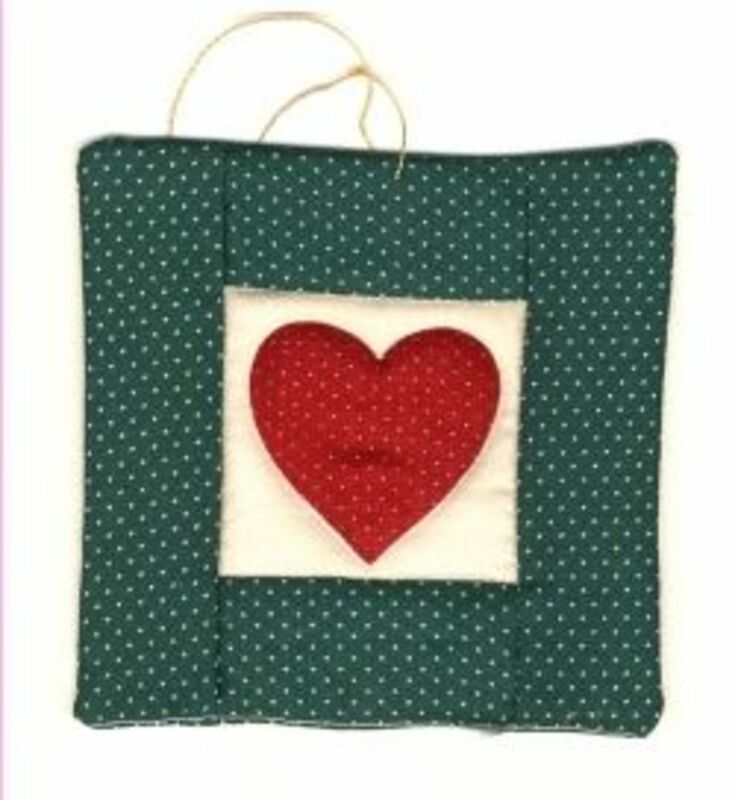 Using the pattern below, place a 4 inch square of wax paper over it and squeeze the frosting onto the paper. Follow the design steps as indicated in the graph. 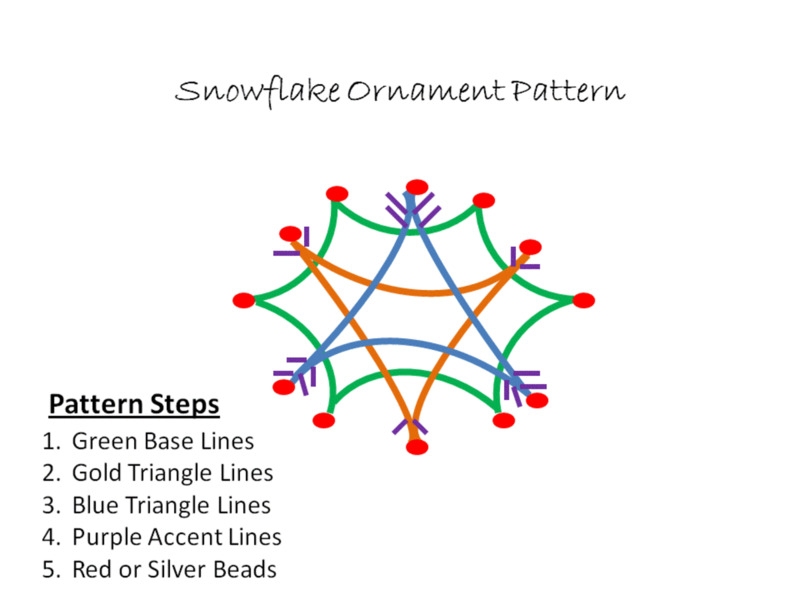 Accent the ornament with sugar beads as shown in the graph. Note: Duplicate the pattern and enlarge to trace your shape. The ornaments should be about 3 to 4 inches in diameter and as thick as pencil. Allow the ornament to harden overnight. Then, slowly and gently remove the wax paper backing. 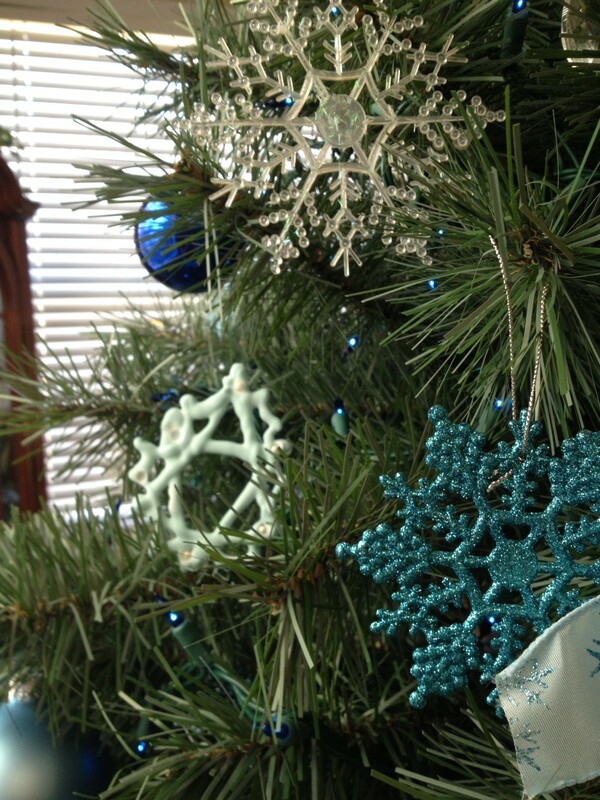 Attach a loop of thread to each snowflake and hang them on the Christmas tree. Each year I enjoy watching the White House Christmas TV special which allows viewers to visually walk through the decorated rooms. I am always fascinated with the diverse Christmas trees throughout the rooms and hallways. The ornate decorations are exquisite to say the least. 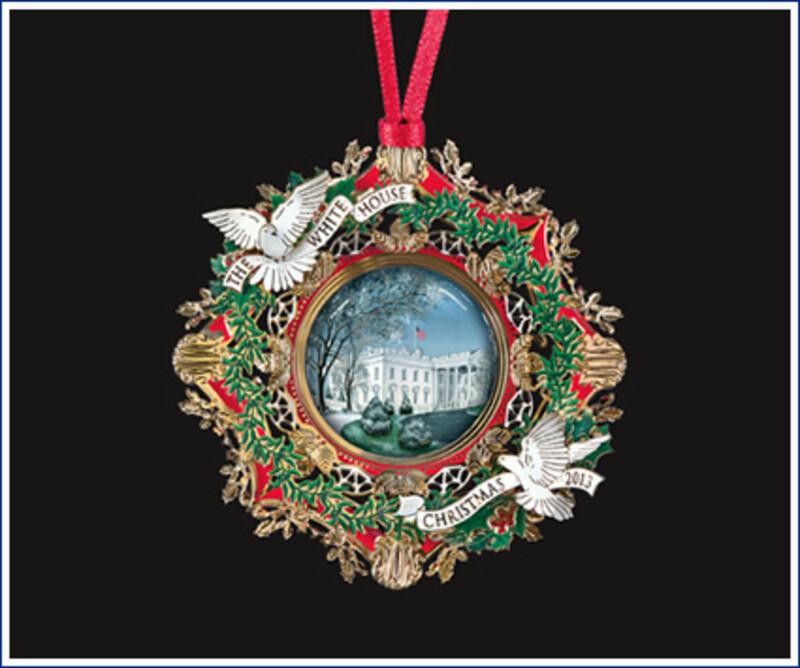 Being a lover of unique ornament designs, I find the White House Ornament program offers much to a collector interested in US history. In 1981, the White House Historical Association established an annual Christmas ornament program celebrating presidential administration or landmark anniversaries. The first design was a copper weather vane to replicate those that crowned many historic US buildings such as Independence Hall and Mount Vernon. In the same year, Rex Scouten, Chief Usher, suggested the ornament be hung on the Blue Room tree in the White House. In this manner, the keepsake would be a highlight for visitors when they toured the premises. Each year, a new design is displayed on the tree. The 2013 ornament honors Woodrow Wilson, the twenty-eighth president of the United States. the focal point of the keepsake trinket features an American Elm tree planted by Wilson on the North Lawn of the White House in 1913, just prior to Christmas. It is framed in 24-karat gold and surrounded by red and green holly leaves. President Wilson's monogram is on the outermost circle. See the adjacent photo and follow the link for further interesting details. Nestled in with all the others, this simple design adds a touch of merriment to the theme. Audrey, it is almost the season, isn't it? I'm not quite ready. Thanks for coming by and hope all is well with you today. Carter, enjoy doing this with the grandkids. Just be prepared for some messy fingers and some eating of the icing. Your Cousins, I do believe I ate quite a few that didn't quite fit my size requirements for the ornament (very convenient!). Enjoy your weekend. Colorful, It is a real fun way to enjoy a Christmas tree. I remember our dog used to try to get them too. Of course, we have to hang them mid-way up after that! Hope you are enjoying the fall weather up there. My grandchildren would be tickled to be able to eat the decorations from the tree this Christmas. Very nice hub. M-m-m-m. I'd love to make these, but in my house I doubt that they would make it to the tree. You know I do follow you and always enjoy your hubs but this one, like Till, slipped past me..am very glad to find it this year as it will be such a fun activity for the grandkids to do.. will pass it on to them and share and pin it..thanks for the story as well, so interesting.. I love this idea! Almost the season! Mary, thanks for sharing this post with others. The ornament is a nice way to make a tree glitter and they taste great too. Till, I would love to see your trees! Wow, eight! I will have to check out your post on them. Great seeing your here, dear friend. Pollyanna, they would certainly work adding a flavoring. I add peppermint for the holiday but any other would do nicely. Beth, I hope your daughters enjoy making these as much as my son did when he was young. Enjoy! Whonu, good to have you visit and I appreciate your commenting. Firstday, it is so fun to make these and they are so worth the time and effort. Glad you stopped by for a visit. Now this sounds fun. Thank you for posting it. How adorable! I am bookmarking for my daughters; they love baking and making holiday stuff. Thank you for posting. Voted up. These look delightful. Would the mixture work if I added a flavouring to it? I am thinking peppermint maybe. Great idea. I have voted up! Where was I ten months ago? I cannot believe this hub slipped by me. It is easy to see that you are an incredible teacher. This hub is so interesting, it doesn't just contain a recipe or instructions, but so much more. I have eight Christmas trees (I did write a hub about it) and you KNOW at least one of them is going to have those lovely, edible snowflakes this year. Voted up, useful, awesome, beautiful, and interesting. Oh, shared too. Great Hub, and a reminder that Christmas is not far away. I love this idea, and you did a great job with your photos, and presentation. Thank you for your comments. I hope you enjoy making these tasty ornaments. They do look pretty on a tree or hanging from ribbon in front of a window, just try not to eat them too soon. Mmmm looks like I have another project to add to my Christmas to-do list! Bring on the edible snowflakes! Voted awesome. Never thought Christmas trees could be decorated with edible ornaments. It does look good there. Thanks for the recipe and pictures. I will have to make these for my tree this year. They look good and they also would make a great gift also. Monis, so glad the post warmed your day. May you have a great weekend. Thank you for bringing Christmas back to me on this freezing March afternoon! Dearabbysmom, congratulations on your new grandchild. These would be a special way to celebrate a new baby at Christmas. We had a dog who ate them as well and had to hang them high on the tree. I appreciate your visit and support. We're going to be first-time grandparents in April, and I can see making these ornaments as a "Grandma's House" tradition. They look pretty and yummy...they will probably only be on the top 1/3 of the tree, as I have a couple border collies who will also think they look yummy! Ignugent, it is a hit with kids of all ages! Loved your visit. Lady E, It is only 11 months until we can try this. Guess we can have these sooner than we think. Oh boy! Mckenzie, I would love to see your tree, it sounds like it is beautiful. This is truly how to make the season memorable and valued: doing the homemade creations is excellent! Hugs and love right back to you! B. Malin, I never looked at it that way - but you are so right, there's less to put away. Perhaps we should do this every year. 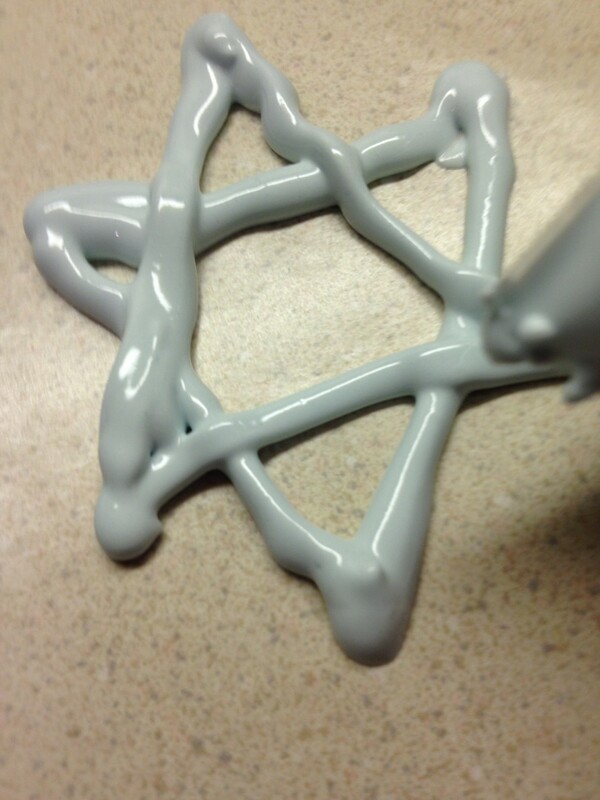 I believe the blue ornaments could be used as a Star of David design to decorate for Hanukkah. Great tip! What a FUN read, such Neat Holiday Treats to eat...less to have to put away after Christmas...Just EAT them! And I might add, even this little "Jewish" woman can make them...Easily! teaches, so happy to find this hub of Christmas fun. Making homemade ornaments for our tree has become a tradition on Christmas Day at our house. All 11 grandchildren and their Mom's create their own tree ornament. It is so amazing to see each creation, using the same materials, take on its own unique look. I also have a tradition to string 3 popcorn - 1 cranberry and so forth, enough to make a garland for the tree. After the tree is up I place the thread and needle with popcorn and cranberries in a basket. As the grandchildren visit they take turns threading. It's usually completed just before Christmas. I LOVE how it looks and it puts the finishing touch on the tree. Ryhem, I made these again this past Christmas because my grandkids were coming to visit. I don't usually have time for them otherwise, but they are so good and look pretty on the tree. Take care. CClitgirl, we are at home celebrating every other year. It's nice to have that option, right? Hope your Christmas was a good one. Kora, sounds like you have a housefull of fun on holidays! You do have a great idea there and I may have to post my edible hearts treat. Deborah, they are quite pretty on the tree. Thanks for the visit. Enjoy your day. Bobbi, good to see you, dear lady. Yes, we had a great Christmas (the ornaments are all gone -- the kids enjoyed them!). Thanks for your comment and support. What a great hub, it deserved a thumb's up ++++. My sister will enjoy hearing about this one and my niece Shannon as she is so creative. I hope your Christmas was wonderful and brought you a lot of joy. These are so cute. I am going to pin them for next year! Unfortunately, I didn't have time to make them, even though they sound quick and easy. I went with creative gifts for a couple of my presents, which took me longer than I thought. Christmas Eve some of my relatives didn't go to bed until after 4:30 in the morning either, so I wouldn't have been able to put them on the tree Christmas Eve...I'm too old to stay up that late lol. Perhaps you'll have a Hub with something edible for Valentine's Day??? I've never thought to make edible Christmas ornaments. This is an interesting idea, one I will certainly keep in mind when Christmas comes around again. Thank you for your support. I hope you have a wonderful and Merry Christmas! Now that I saw the snowflake, can I change my vote? Cute and fun idea. Merry! What a fantastic idea! We have strung popcorn in the past and cranberries and used candy canes on the tree. When we were growing up we also made many homemade ornaments. Lovely hub with great detail. This should be a HOTD! Pinning this to my Christmas board. Nice idea - you could use these at Easter as well - whatever the excuse, they look nummy. Your hub name fits you perfectly for I am one of those folks who needs very clear instructions, and you do so in such a user-friendly way, and yet there is this professionalism as well. SO nicely done. Voted Up/Shared. These sound wonderful. I would make them, but my kids would probably ea them before they ever made it to the tree. This is such a good idea, especially if you have children that can help as these activities make Christmas special. I love the snowflake and the other ideas are great as well. I hope you have a wonderful Christmas. Teaches12345, a miniature edible snowflakes would make great addition to a holiday cellophane treat bag. Thanks for sharing. Lyricwriter, I see that Christmas is next week and I am not quite ready yet. Yes, where does time go? Thanks for your visit and comment. Have a wonderful Christmas holiday, dear friend. Christy, we had fun making the snowflakes this year and so it inspired the hub. Thanks for your feedback, I appreciate your comments. Have a wonderful Christmas! This ornament is one of my favorite edible treats we make each year. It just looks so pretty on the tree. I hope you have a very Merry Christmas, Vellur. Great hub, creative and delicious. The ornaments looks great as decorations, a sweet treat! Thank you for sharing this hub filled with the spirit of Christmas celebration. Voted way up. I love your comment, Avian. It is a lovely way to give to others. Victoria, I love making these sweet snowflakes but I have to limit my enjoyment. The sugar sends me flying! Vocalcoach, I am so glad to see you here and that this was an interesting post for you. I appreciate your sharing and votes. May you have a Very Merry Christmas with your loved ones. Anglnwu, the fun is in eating them off the tree. Enjoy! Have a wonderful Christmas. This looks divine. I have yet to decorate my tree with edible ornaments but looking at your craft, it's about time to explore the idea. Thanks for sharing, rated up. Dear Dianna ~ You have gone above and beyond with this magnificent, striking and very helpful hub. I voted Up and across, except for funny. I will also be sharing this with my own family, friends and of course - hubpage followers. May your Christmas be merry and bright ~ My love to you, Audrey. What a beautiful idea. And my mouth is watering! I love hearing about family Christmas memories. Sounds like you made some great ones! Not only are these beautiful and made with love in a family, they provide a wonderful gift for each family member, too. Epbooks, I have seen a few German decorated Christmas trees and they do have some lovely ornaments. I could not the edible tree until my cat was well advanced in age and quit jumping into it. Enjoy your Christmas, dear lady. CrisSp, I am honored that you want to link this, please do. Thank you for your wonderful support. May you have a lovely Christmas. Crafty, I would love to see your tree with all the edible food - yum! Yes, it's all about the kids. Have a wonderful and Merry Christmas! Dr BJ, I think I may have a couple left on the tree, I better go enjoy them! Have a wonderful and Merry Christmas, dear friend. Thundermama, I hope you enjoy this craft with your girls. Let them be creative and have fun, they will love eating them afterwards. Merry Christmas! Blond Logic, I do love popcorn on a tree. I saw some updated pickle ornaments online the other day -- I don't know if this would be my first choice. Enjoy your week. DDE, thanks for your support. I think I may go eat one in a bit. Amiebutchko, I hope you do try making some crafts with your kids, it will be much fun and they will enjoy your company. Have a very Merry Christmas. Avneet, I almost did not get them on the tree -- my hubby ate quite a few of them before I knew it! Thanks for visiting. I think its the prettiest ornament, but then I am a little biased. Enjoy your week and be safe, Prithima. I enjoyed this hub. I can believe that Germany made the first ornaments. I remember visiting there during Christmas and their decorations were amazing. There was one store that had such beautifully decorated trees and dolls. I had to laugh about the edible ornaments. I wish we could do it, but we have three dogs who would tackle that tree to the ground in no time if anything edible was near it! They look beautiful though! This is so very creative and will be surely fun for both young and old. I'm taking the liberty to link it in my Christmas Show hub. Please let me know, otherwise. Thank you Dianna. Love your creativity! Definitely voting up, pinning and sharing. What a neat idea, Dianna. Never would have thought of it. Now may your Christmas be merry and your ornaments edible. What a wonderful hub with fabulous instructions. I have been looking for an festive craft for my girls and I to do once school is out and this looks to be just the thing. Can't wait to give it a try. We have used popcorn before but your idea is wonderful. It must be very pretty and tempting, especially for little ones. It sounds like a lovely tradition. I had to laugh that some decorations in the past used pickles. That struck me as funny. I enjoyed this festive hub. Great ornaments, and yes, very pretty. Also love your tradition of making homemade ornaments and your history lessons above. I would love to try making these with my kids. I used to decorate the tree with my family when I was little and I feel like today, kids are so much less interested in cozy family rituals such as we had when young. Maybe this will bring it back a little for us! oh really great and pretty ornament..just loved it. Hezekiah, that is the problem - keeping my hubby from eating these sweet treats! I hope we have some left for my grandkids. Have a wonderful week and keep safe. Excellent, what a great idea to make. Next problems is to keep them from getting eaten. Need to keep a track or a count on them every day. Thanks, frog prince. Hope you are having a great weekend. Suzette, it's a very pretty ornament and children do love eating them from the tree as treats. Thanks for visiting. Enjoy your week. What a wonderful and delightful article. I love trimming the Christmas tree and have made many ornaments over the years, but never any as delightful as your edible snowflake ornaments. What a fun and great idea and yes, children would love this. Thanks for sharing your creative ideas with us. I know you have to be a super teacher as creative as you are. Great Hub. Sallybea, little ones especially enjoy making these. They love to design the snowflakes and place beads on the points. Enjoy the fun. Annart, I love Victorian themes. They are so elegant. I would love to see the slipper your mother made. I'll bet it is beautiful. Have a great Christmas. Cardisa, I'll save you one! Hope you are enjoying your weekend. Cyndi, I thought about making them white but my hubby decorated the tree this year in blue -- it looks nice. Enjoy your weekend. Radhikasree, this design has been a family favorite for years. I do love the way it looks on the tree. Thanks for coming by today. Have a safe and good day. Marcy, funny story. I can understand the temptation to eat anything that looks like a cookie. How funny. Enjoy your weekend and stay warm. PeachPurple, don't forget to have a couple yourself! Thanks for adding to the conversation. Stay well and safe. Torrilyn, the kids do enjoy making these and especially the fun of eating them afterwards. I appreciate your visit. Bill, if you get time away from those chickens, make a few just for fun. Stay warm up there and be safe. Merry Christmas! Just Ask Susan, thanks for the very supportive comment. You be careful out there. Bishop55, I am glad you like the idea. Thanks for your visit and support. Take care. Nell, I had fun making them. Believe me, I did not stick to the design entirely - I'm not artist. It was nice to see you here today. AliciaC, I love ornaments so had to give some background and information on their history. I always find it amusing that people put candles on their trees. I don't think most of us would do that today. Be safe and well. Poetryman, I plan on eating as many of these as possible -- before my hubby gets to them. Jenn-Anne, do give it a try. You might make some really fantastic creations! Enjoy your weekend, dear friend. Koralee, I'll bet your tree will look so pretty with these hanging from the branches Christmas morning. Won't people be surprised! Let me know how it turns out. Sherry, I have to agree they are beautiful. Thanks for visiting and have a wonderful day. Moonlake, I hope people will get some extra help from the photos. Glad you came by and I appreciate your comment. Mike, it's all about the children this time of year. They will enjoy these treats. Keep warm and safe. Mary, thanks for your support. I hope all the detail will make it easy for people to make this Christmas. Stay safe out there. Stephanie, I think the celebration takes on a deeper meaning when you craft holiday ornaments and cookies. I'm sure your children have lots of wonderful memories. Have a wonderful Christmas with family. Faith, I made quite a few but I do see some empty places now where some once hung. Hmmm, there must be a little mouse around the house? Thanks for coming to visit, dear lady. Merry Christmas and God bless you and your loved ones. Crystal, you are so right: already the tree is missing some that I hang just the other day. My hubby just loves these little treats. Enjoy your weekend and stay warm. Blessings. Great idea, although I doubt my tree would have any ornaments left on it at all by Christmas. Voted up and sharing. What a lovely idea and tasty one too! These are my favorite ornaments, edible! I would have to keep making them over and over : ). Thank you for sharing your great ideas here. Looks like a lot of fun for sure. What a great idea for Christmas tree ornaments! We've always made tree ornaments, first with our kids, then with grandchildren. They would have loved this one! Beautifully written and illustrated hub! Voted up and shared! If I could vote I would vote this Hub a HOTD. 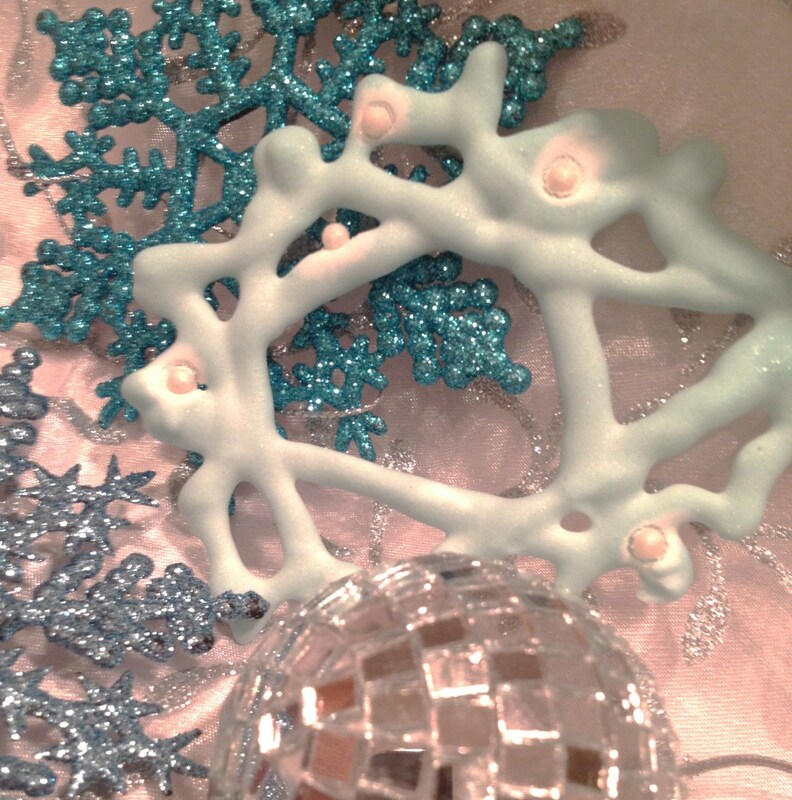 You took a lot of time to show in detail how to make these beautiful ornaments, step by step. Voted UP and will share all around. Fantastic idea, children will love this, great hub teaches!! Pretty ornaments and they don't look to hard to make. I like your own photos too. Voted up. They are beautiful, very elegant looking. I really love this idea for Christmas. They look so exquisite, and you can eat them too...bonus :D. Thanks for sharing. I've book marked your Hub so I can make them for Christmas. I'm not spending Christmas at home, but I'm going to take them with me on Christmas Eve and put them on the tree for Christmas morning. So cute! Edible snowflakes sound awesome. I have never heatd of an idea quite like this! Shared, votes up and pinned to my Holiday Foods board. An interesting and lovely ornament idea - might have to give it a try! Enjoyable hub - thanks for sharing! The ornaments look lovely. Helping to create them would be such a fun project for children! The information about Christmas ornaments was interesting, too. This is an enjoyable hub! How clever are you? lol! this is a fab hub, and yes I agree with others, should be HOTD! I love it! now off to try to make something that somehow resembles this, I doubt my own craftsmanship but hey got to try! lol! This is a great hub. Voted up and sharing! Very cool ornament! I hope I can find the time to make some of these for our tree. We used to make these when I was a kid and I had forgotten all about it until this hub. Thank you for the memories. Maybe we'll try to resurrect that tradition this year. Have a great day Dianna! It's a bit nippy here today. Great idea for ornament candy. Seems delicious and something nice you can do with the kids. Simple and fun. Great article. Voted up.